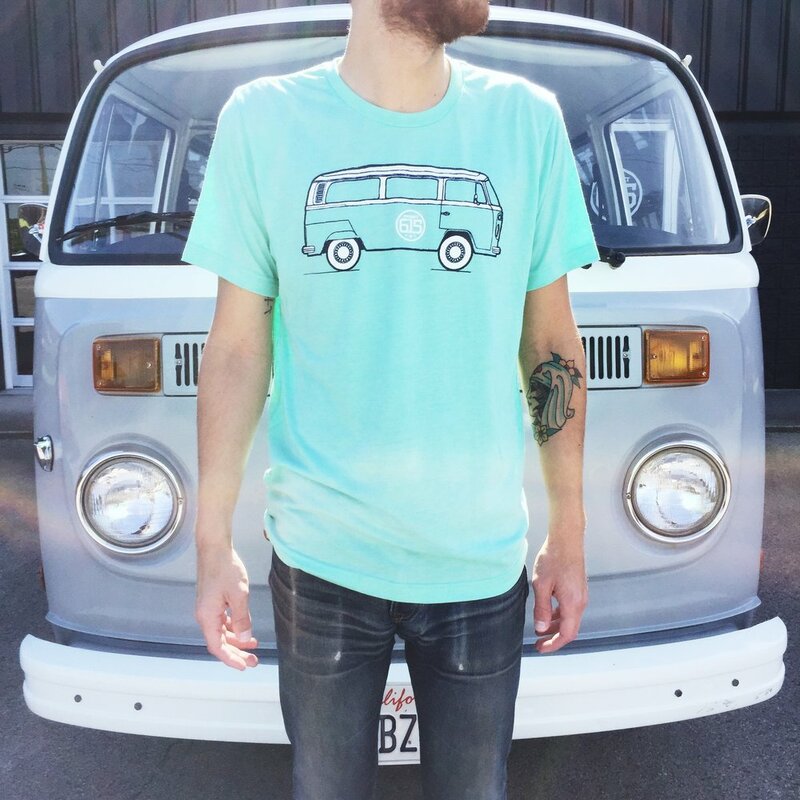 Our latest release is inspired by our restored 1978 VW Bus, affectionately named "Dolly," and our official Project 615 mobile. We will celebrate her first anniversary with the company this weekend--as founders and co-owners, Derek Evans and Matt Blinco, purchased Dolly in Manhattan Beach, California in summer 2016. 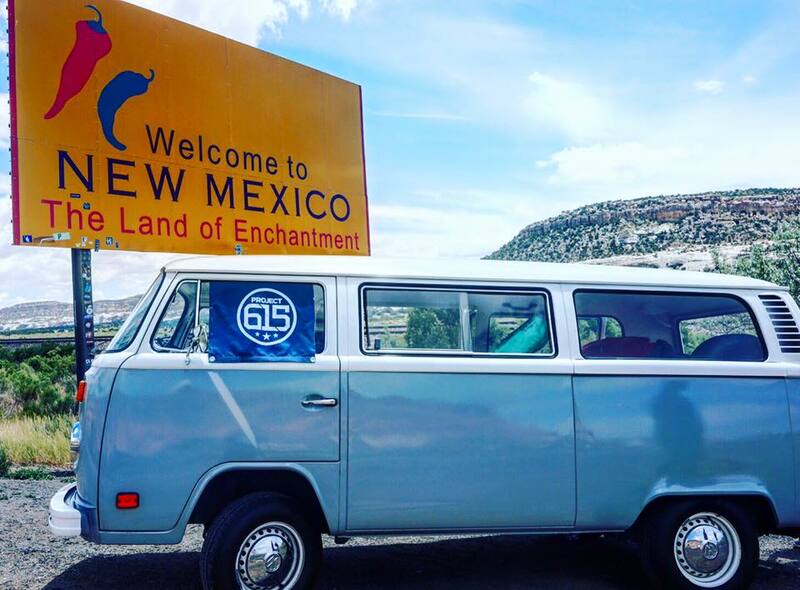 Their purchase led them on a four-day, cross-country journey from California to Tennessee, covering more than 2,000 miles on historic Route 66 and I-40, stopping along the way to spread the mission of Project 615 and give away some gear to new friends. 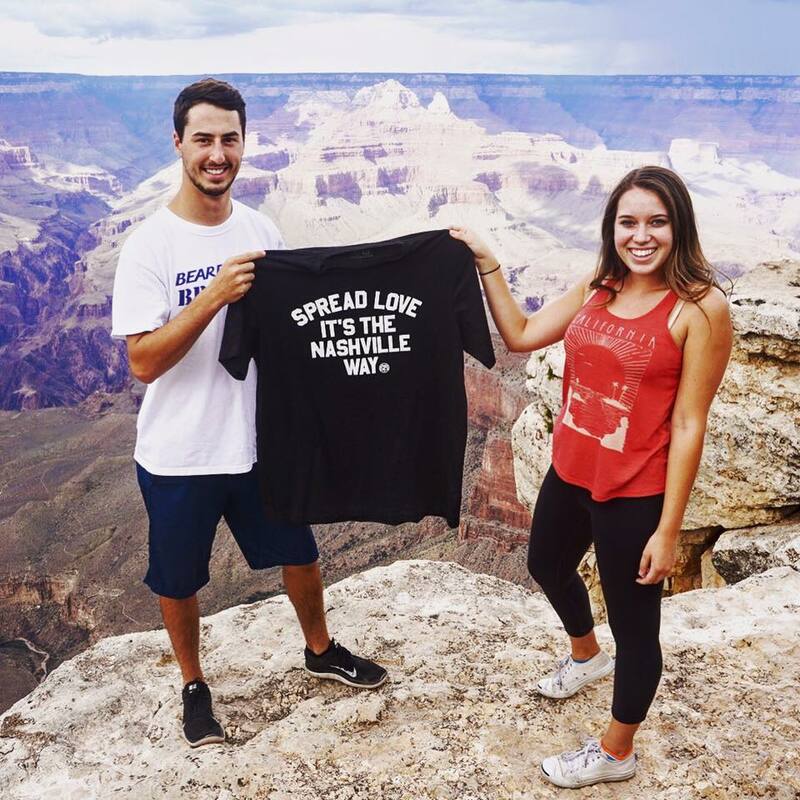 They made stops in Las Vegas, the Grand Canyon, Hoover Damn, Memphis, Oklahoma City and more--talking with the homeless, police officers, fire fighters, tourists, locals and more, spreading love and sharing their stories. Today, Dolly is a staple of our company. She comes with us to our local events, hosts photo booths and our 615 Bus Sessions. She's vintage and classic, and always inspires great stories, conversations and more. We're so excited to memorialize her on our "615 Bus" tee!